A strong central romance that’s big in scope and believable in execution. There can be a secondary romance and subplots. High emotional stakes. The characters’ goals mean something to them, might force them to make difficult choices and might be in conflict with the romance. Characters and situations should feel familiar to readers. Even if the situations seem larger than life, the characters’ reactions are believable. The hero and heroine should work for their happily ever after so give them obstacles and complications that need to be resolved. Remember: resolve issues by moving them to the next logical step, but don’t wrap everything up in a neat bow! A sense of community. Paint a larger picture of the characters’ lives by showing their relationships with family and friends, social lives and work. Tone can vary from the lighthearted to the deeply emotional, from family sagas to light suspense. The common thread is the complexity of plot and depth of character as well as the unique, contemporary treatment of the themes. Look at big cities as well as small towns. Even consider settings outside of North America. Word length: 85,000 words. Harlequin’s longest contemporary series with a big book feel. Featured in Harlequin SuperromanceRelatable, true-to-life characters in high-stakes emotional situations—ones with genuine obstacles that require them to reexamine what they truly want from life. Harlequin Superromance books focus on the romance between the hero and heroine while also exploring the community and relationships around them.Harlequin Superromance is… Friday Night Lights, Parenthood, Love Actually, The Proposal, Serendipity, When Harry Met Sally, The Big Easy, The Vow, No Reservations for their complex characters, layered plots, strong romance and high emotional stakes. Okay, now that you have the basic idea for a Harlequin Superromance, let’s talk about it. I find that when I’m in the mood for a good, believable/relatable romance, I reach for a Superromance. For me it’s about the characters ultimately but it also deals with real life issues. It could be about being a single parent dealing with the death of a spouse, losing a child, family issues dealing with abandonment, divorce, sibling rivalry, the death of a parent. You get the picture. It’s the most emotional of the lines that Harlequin has in my opinion. It delves deeper in the emotional development of the characters and the “who, what, where, when, how” of a romance and how it affects their family, community and within themselves. The heat level can vary too. I find that most of them are sensual to somewhat spicy. Just don’t expect a lot of it. 🙂 It’s more about the journey in a Superromance and the emotions. About Rachel Brimble: I “met” Rachel a couple of years ago online. I was reviewing some Wild Rose Press books and I fell in love with their Class of ’85 series and read her book in the series. A friendship was born. I call her my “English Rose”. I have followed her career and when I found out that she had contracted Finding Justice with Harlequin, I cried for her. I’m so very proud of her. I knew that she could do it. She has what the call the “voice” for Superromance and it shines in her debut. Can I say that I’m proud to say that I’m honored to have read Rachel Brimble’s debut Superromance. I was thrilled when I emailed her and told her that I was going to feature every Thursday Harlequin. I asked her if I could spotlight her debut and she more than said yes and she would like send me the book to review. Woo Hoo! As I mentioned above, she has the “voice” for Superromance. I know of some published Harlequin authors that write for the other lines and they have submitted to the line and were rejected. It’s all about the “voice” in Superromance. You either have it or you don’t. Ms. Brimble has it…in spades! When we first meet Cat, she yelling at her squad to get a drunk driver. Being an Inspector was everything she wanted to be when her dad was killed by a drunk driver. Bring people to justice when they have done something wrong. In the meantime, she lost touch with her friends and herself. She is too busy keeping her mother out of trouble. With no help from her brother, she feels like a failure. When she gets a phone call from her friend and one time lover Jay, it all comes full circle for herself. The murder of their best friend and he is the prime suspect. Realizing that its time for her brother to step up to the plate with their mother, she leaves to the Cove to help Jay and ends up losing her heart all over again. What makes this story so special is because it deals with a topic that most people don’t talk about…addiction and the effect that it has on yourself (whether you are the addict or not), your job, friends and your family. I know first hand with a grandmother and my brother. I understood Cat from the beginning of the story and the feelings and emotions that she was going through. Been there, done that and worn the t-shirt. The suspense element was a delight and its done with a deft touch from Ms. Brimble. She doesn’t hit you over the head with it and I seriously didn’t know who the villain was until it was revealed. I love that when I can’t figure it out until the author reveals it. It was a complete surprise and the beach scene was spectacular. I was laughing one moment and then praying that it would end well for Jay and Cat. If you are looking for a book that is full of emotion, suspense and a love between two people that never died, Finding Justice is it for you. I can’t wait to see what Ms. Brimble has in store for the next book in the Cove. Maria and Liberty, ignore Rachel and her self doubt comment. She has it for Superromance. Its the hardest line to write for in Harlequin. I really, really don’t know what to say! I’ve had a horrible day of self-doubt and this has made me feel fantastic 🙂 As a debut author with Harlequin, I have been dreading my reviews and this now makes me hold my head up high! THANK YOU, THANK YOU!!! Thanks for all of the information on what makes a “SuperRomance” for Harlequin. I’ve read several and have enjoyed them. Finding Justice sounds like a really good one and I’ll be adding it to my list. Oh wow! Just wow. I am now really wanting to read Finding Justice! As for the addicts in our lives, yup, been there, done that, and still get to wear the t-shirt. ::sardonic laugh:: But we learn a lot from it, don’t we? I look forward to a heroine I can relate to…one of my favorite things to read. 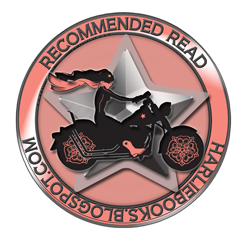 Thanks Harlie for this great review and for the education on what a Harlie SuperRomance is and thanks Rachel Brimble for sharing your gift with us!